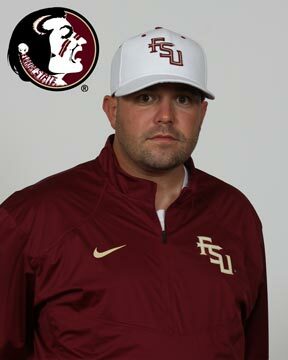 Florida State assistant softball coach Craig Snider starts his 8th season with the Seminoles in 2019, where he has done wonders with the Seminole hitters including playing a significant role in leading the Seminoles to the 2018 NCAA National Championship. Snider, along with head coach Lonni Alameda and assistant coach Travis Wilson, were named the 2018 NFCA National Coaching Staff of the Year. Under Snider’s guidance, FSU is routinely among the best in the ACC and the country in several offensive statistical categories. Florida State broke school records in home runs (76) and doubles (115) in 2018; batting average (.329) and slugging percentage (.544) in 2017, which added to the records for runs scored (459) and runs batted in (407) set in 2016. The record-setting offense in 2018 was led by NFCA All-American Jessie Warren, who topped the team with a .404 batting average, 21 home runs and 70 RBI. Freshman Sydney Sherrill tied the NCAA record with 29 doubles and earned NFCA All-American and ACC Freshman of the Year honors. The Seminoles earned their first-ever No. 1 ranking in 2017 and ended the year with a 55-8-1 record, marking the third time in the last four years that FSU has reached the 50-win plateau, and matched its conference record with six All-ACC First Team members. The Noles finished 2016 in the top 10 nationally in on-base percentage, scoring, stolen bases and winning percentage. FSU posted a 21-2 record in the ACC in 2016 and ended the year in Oklahoma City with a 55-10 record. 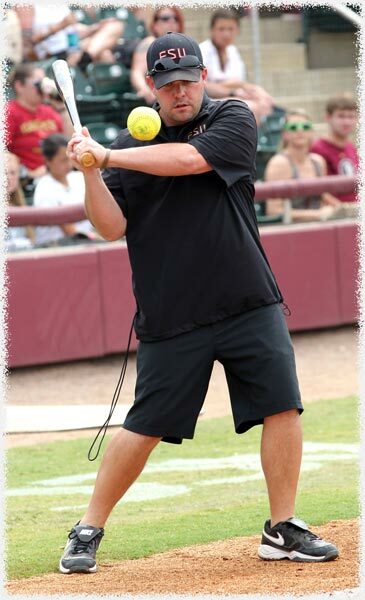 Snider and the offense were an enormous part of the 2014 resurgence of FSU softball onto the national scene. The Seminoles posted a 55-9 record and won the school’s 12th ACC Championship and advanced to the WCWS for the first time since 2004. The Franklin, Ky. native has built a reputation for being a difference maker everywhere he has been, which includes Stephen F. Austin, Oklahoma, Centenary and Lindsey Wilson College. Over the last decade, Snider has propelled each of his teams toward tremendous improvement at the plate.